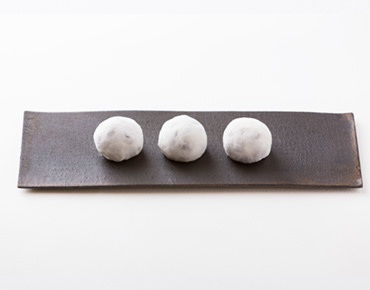 Apart from the Hirado traditional sweets Casdoce and Gobo Mochi, we at Tsutaya take pride in offering our customers a wide range of different “wagashi”: Japanese sweets. Made by our skilled craftsmen and according to our traditional recipes, each product is carefully made by hand. Whether you want your daily snack for the family table, or that special present for a special someone, please enjoy the exclusive taste of Hirado culture and tradition that we have been providing for over five centuries. 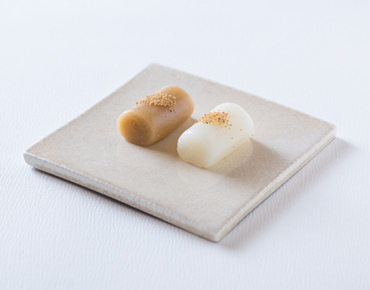 Casdoce is one of the sweets that was brought to Hirado through the trade with the Portuguese. Tsutaya is the first company to make this sweet in Japan. 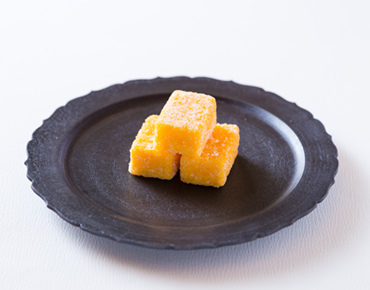 Pieces of castella cake that are specifically made for Casdoce are dipped in well beaten egg yolk and lightly boiled in syrup before being rolled in sugar. This is the signature sweet of our company. Please enjoy the crunchy sugar and the elegant sweetness in combination with the rich flavor of the egg yolk. 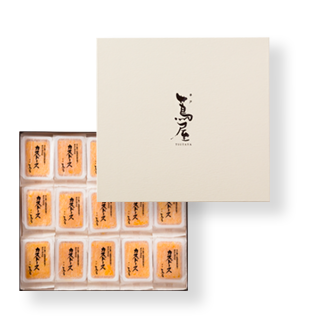 Together with Casdoce, this is one of the most well-known sweets of Tsutaya which is also featured in the Book of 100 Sweets. 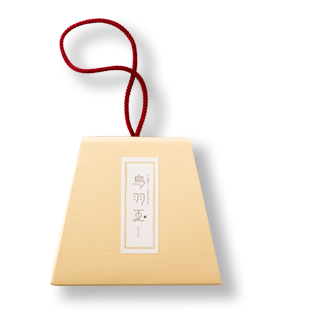 It is said to have been introduced from China and has been used in Hirado since old times for celebrations or mourning as well as for the tea ceremony. 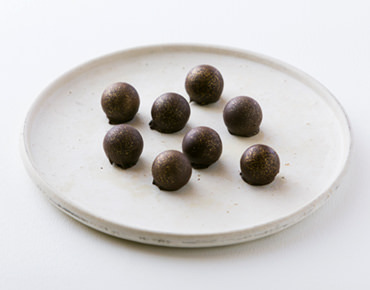 We have two Gobo mochi varieties: with caster sugar and with yomogi (mugwort). Gobo means burdock in Japanese and is named after its resembling looks. For a long time this sweet only remained as a drawing in the Book of 100 Sweets. With the help of the Matsura Historical Museum, we have recreated this old sweet as part of our “revived sweets” series. The paste inside is made from black sesame mixed with sweet azuki bean paste. This is wrapped in a thin layer of mochi and dusted with fine Japanese wasanbon sugar. 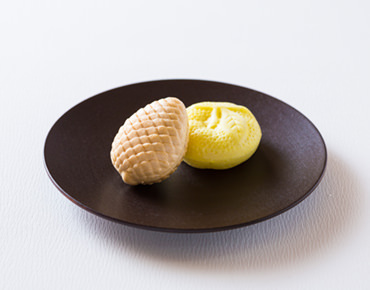 The Matsukasa monaka has the shape of a cute pinecone and is packed with a roughly ground sweet bean paste made from Hokkaido dainagon azuki beans. The Yuzu monaka has the texture of a yuzu citrus fruit and contains a smooth bean paste mixed with yuzu from Zenkaen farm in Hirado, which is also famous for its unique domestic citrus fruit called Hirado Natsuka. Please enjoy the harmony between the subtle sweetness and the fresh aroma of yuzu. 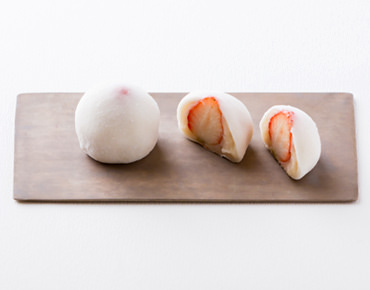 Tsutaya’s peach mizu daifuku mochi is a Hirado favourite in summer. A small unripe peach is made tender in water, covered with white sweet bean paste and then wrapped in a tender skin of mochi. 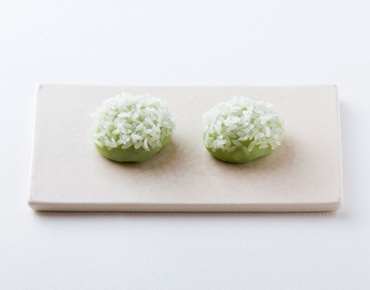 The mochi is made from a special type of flower that doesn't turn hard, even when chilled. The juicy peach and sweet bean paste as well as the soft scent of the wrapping Sasa bamboo leaf make this a refreshing delight on a hot summer day. 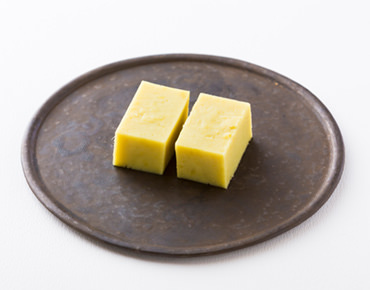 Castella cake is a Portuguese sweet that was first introduced to Hirado and then to Nagasaki and the rest of Japan. At Tsutaya we make our castella cake with plenty of eggs and each one gets baked with special care by our experienced craftsmen. 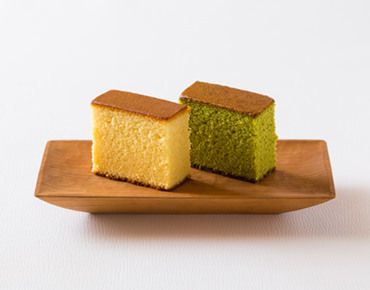 Apart from the traditional plain castella cake we also offer an elegant matcha castella cake. This is a new summer classic at Tsutaya. The subtle sweetness of our homemade mizu yokan is just right, and is poured into natural bamboo from Kyoto. You can use the provided pin to perforate the bamboo and get the mizu yokan out. 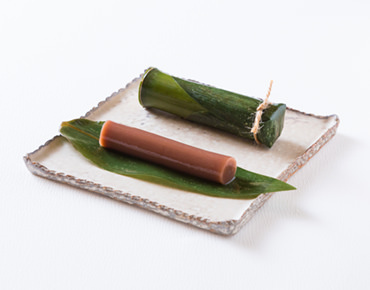 Please enjoy the mizu yokan on the Sasa bamboo leaf in which it is wrapped. The sauce for the mitarashi dango is made from Hirado soy sauce. 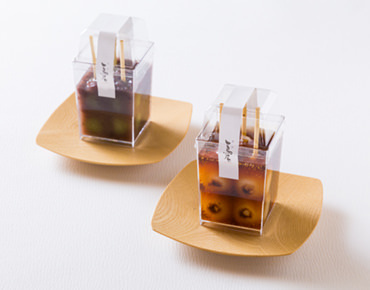 The yomogi dango, which has yomogi kneaded in with the dango, has toppings of sweet beans paste made from Hokkaido dainagon azuki beans. Both types are carefully hand made by our staff and skewered one-by-one. They are sold in small cup so they are good to take home as a souvenir or to enjoy whilst strolling around town. 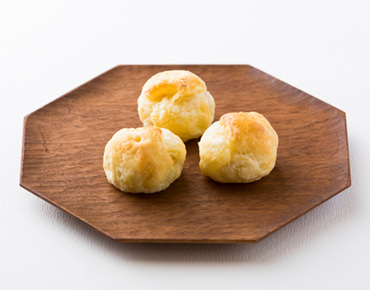 Our cute manju resemble the shape of Kuroko Island which you can see from Hirado harbour. We have four varieties for you to enjoy: “Kuroko” has smooth sweet bean paste wrapped in a skin that contains brown sugar, “Einishi” has smooth sweet bean paste wrapped in a skin that contains matcha tea powder. “Usuhada” has roughly ground bean paste wrapped in a very thin skin and “Sake” has a smooth sweet bean paste wrapped in a skin that has the subtle fragrance of sake. This bite size butter pound cake is inspired by the English hero William Adams. The pound cake that has a rich butter aroma is dipped in a syrup made from Arrack, one of the first foreign liquors to enter Japan. The aroma of the butter, almonds and the liquor provide the elegant and pleasant fragrance of this new Tsutaya sweet. 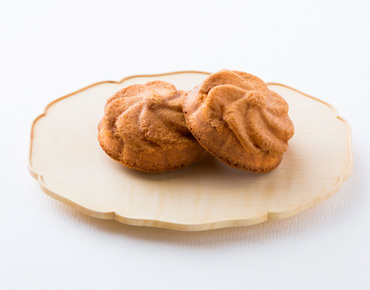 Among the baked sweets that were brought to Hirado by the Portuguese during the age of discovery was sweetbread, or “Bolos”. 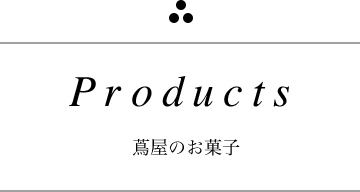 In Japanese, this word is pronounced “boro” and is often used for a wide range of cookies. 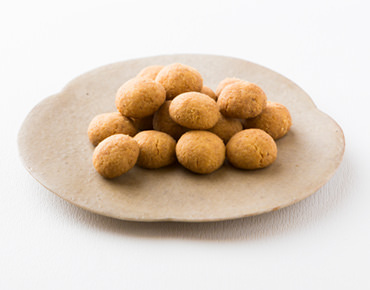 In typical Tsutaya style, this western tender-crisp butter cookie is dusted with traditional Japanese wasanbon sugar. Tsutaya’s dorayaki is well-loved by the local people in Hirado. 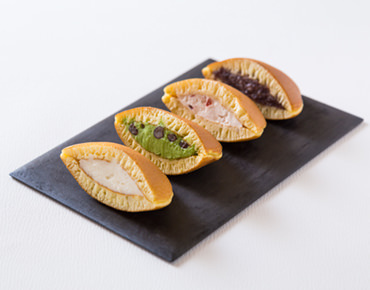 The roughly ground sweet bean paste is made from Hokkaido dainagon azuki beans which is wrapped between two pancake like patties made with milk. At tsutaya we offer four varieties: the basic “Tsubu-an”, “Nama” with added whipped cream, “Matcha” with matcha tea powder and whipped cream and “Ichigo” which contains strawberry pieces. For ease of eating we also sell our dorayaki in half size. 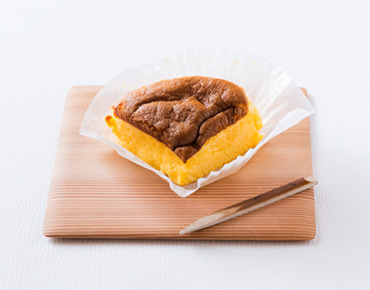 This half baked castella cake uses Natsuka, a local summer orange from the Hirado Zenkaen citrus farm. 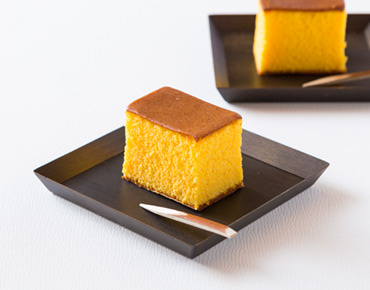 This half baked castella cake has a very rich and moist consistency with the refreshing zest of Natsuka citrus fruit. Eat this chilled and the castella cake will melt in your mouth. Please enjoy this delicious speciality during the hot Hirado summer. Confeito is Portuguese candy that was brought to Hirado through the trade with the Portuguese. 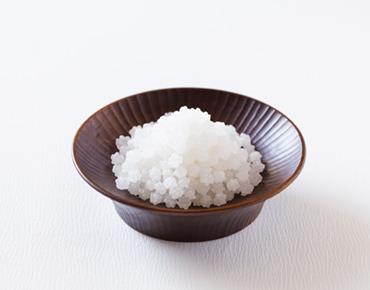 Now called konpeito in Japanese, this candy has been adapted and uses Hirado sea salt which is rich in minerals. The sweet and salty taste of this new Konpeito creates a perfect balance and is perfect for supplementary mineral intake on a hot day. 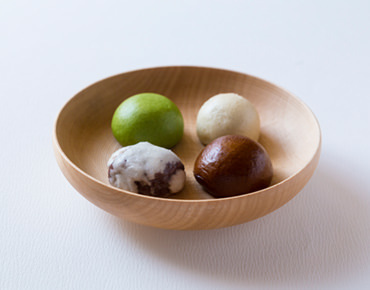 This is a mixture between western sweets and Japanese wagashi sweets. 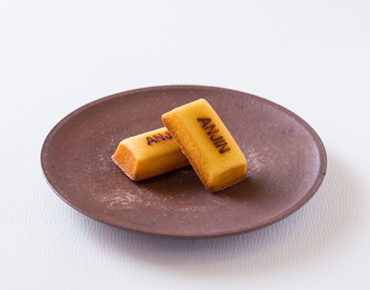 The castella cake has a lovely hint of cinnamon and is filled with sweet bean paste. Hana castella features in the Book of 100 Sweets, a precious book from the Edo period and is also mentioned in Dutch culinary books from that time. It is one of the representative sweets in Hirado and Nagasaki for its mix of different cultures. Filled with freshly picked strawberries from Hirado and wrapped in a tender and elegant skin of mochi.Our special sweet white bean paste perfectly brings out the delicious sweet and sour taste of the local Hirado strawberries. This is a small dorayaki that carries the name of one of our Tsutaya ancestors who was one of Hirado’s master sweet makers. 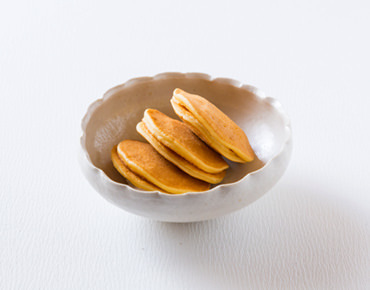 The carefully crafted sweet bean paste is wrapped between the two pancake like patties made from rice flour. Different from normal dorayaki, this Tsutaya original has a soft doughy bite to enjoy. Suyckerbrood means sugarloaf in Dutch. 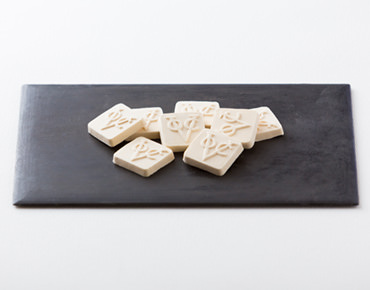 Different from its contemporary Dutch meaning, suyckerbrood refered to the hardened cones of sugar which shape resembled a “loaf”.These sweets are traditional “Rakugan”, made from dried Japanese wasanbon sugar and adorned with the logo of the VOC, rekindling the days the Dutch company imported sugar to Hirado. 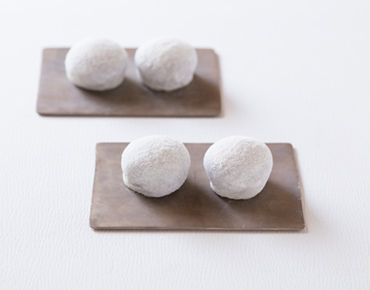 This modern take on Daifuku Mochi contains sweet potato paste which is hand wrapped in pie sheets and then baked to perfection. The butter in the pie sheets matches the sweet potato paste perfectly and is another delicious Tsutaya sweet that will be enjoyed by everyone. The filling of this Daifuku mochi are red peas that have repeatedly been soaked in honey and then simmered in mineral rich Hirado sea salt. The soft red peas are wrapped in a layer of sweet bean paste and covered with a tender skin of mochi.Please enjoy Tsutaya’s small but cute Shiomame Daifuku. We wanted to bring out the pure delicious taste of sweet potatoes, so without using any colorings or additives it is prepared using only sweet potatoes and a little added sugar. Our Tsutaya style Imo Yokan is not so sweet, bringing out the real natural taste. The short shelf life certainly is proof of this. Since old times it has been custom in Hirado to give this sweet to loved ones on special occasions such as for celebration or mourning, but not many sweet shops make this sweet anymore. 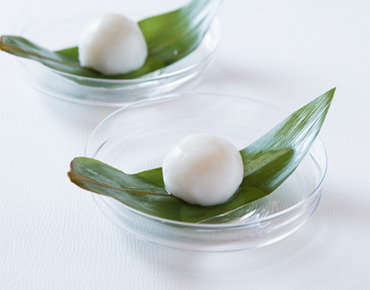 This simple but traditional sweet has a smooth sweet bean paste made from Hokkaido azuki beans that is wrapped in a layer of uruchi rice from Saga and covered with steamed mochi rice.